For our next property purchase, I would love to get a professional to assist us in selecting the ultimate home. One that accommodates ALL our needs and preference and not just some if you know what I mean! Unfortunately I'm not rich enough to hire a professional team to assist in my next home purchase. So it's a good thing our buddy G is currently in the real estate business. He handles my location too as in Petaling Jaya so any new homes in the area fall within his turf. I'd be the first to know of all the new and upcoming home development so that's a good deal right there. Meanwhile, if you're interested in purchasing Big Canoe Lots set amidst the lush greenery of Big Canoe Georgia, head on over to The Williams Group. I checked out the site just for fun and there are plenty of beautiful homes that you can call your own, if the price is right of course. 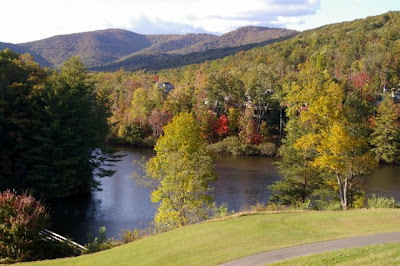 The Williams Group also handles vacation rentals at Big Canoe Resort. 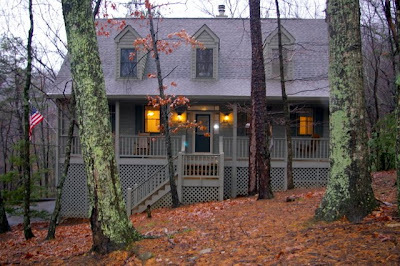 Once you've decided on your date for the ultimate mountain getaway, check out Big Canoe current home listings. Summer is a great time to vacation here. Picture yourself basking in the sun or swimming in the beautiful lakes, fishing, and enjoying many more water activities that are bound to make your vacation truly memorable! I for one have never been on a mountain vacation; I'm more a shopping and dining in the city kind of vacationer. Perhaps I should be adventurous and go for something totally different this year, starting with a mountain vacation. What do you think? I love the view GP.. and as long as insects are all kept in check.. i love the mountains.. lol! i 've never been on a mountain vacation either..! hahaha yalor u were FC for dat post! :-D :-D i don know how high coz i didnt climb mah LOL! but very cold la u'll love it! i never get anything for dating and home so far! :'( :'( :'( :'( GG FC3! >:o >:o >:o >:o How come GG??? :'( :'( :'( :'( Bye bye GG, come back soon! Hahaha Kedah sure hot maximum LOL!! yeah so romantic...u must go with B!!! cepat la tunggu apa lagi LOL!! War....completely cut out from the outside world right? I'm more of a city vacation guy, but have been on mountain vacations mainly because I have family that live in the mountains. It does bring peace and great wildlife as well as some good scenery. That is a nice view in the last pic! It reminds me in a way of my uncle's place in West Virginia that has a pond nearby. Well, i like the place specially the view. Hahahah tunggu wang besar Monica! Still cannot change ur category at RM,Mon? Oh Kelantan oso I’ve been lol! In a nice romantic way he he! Hopefully one day yeah Fyzal? Happy day to u! Ha ha so it’s two boys now for u Ayie he he! !